It all started with the British Invasion, that unmistakable sound that took America by storm from across the Atlantic to right in your face. And now Eminence puts it within easy reach with the Red Coat™ series of guitar amp speakers. Engineered and manufactured in the U.S. with British-inspired cones, making it easy to "Pick Your Sound." Seven-year manufacturer's warranty. Specifications: • Power handling: 50 watts RMS • VCdia: 1.75" • Impedance: 8 or16 ohms • Frequency Range: 70-5,500 Hz • Sensitivity: 100.3 dB 1W/1m • Magnet weight: 38 oz. • Dimensions: Overall diameter: 12.02", Cutout diameter: 10.97", Depth: 5.1". 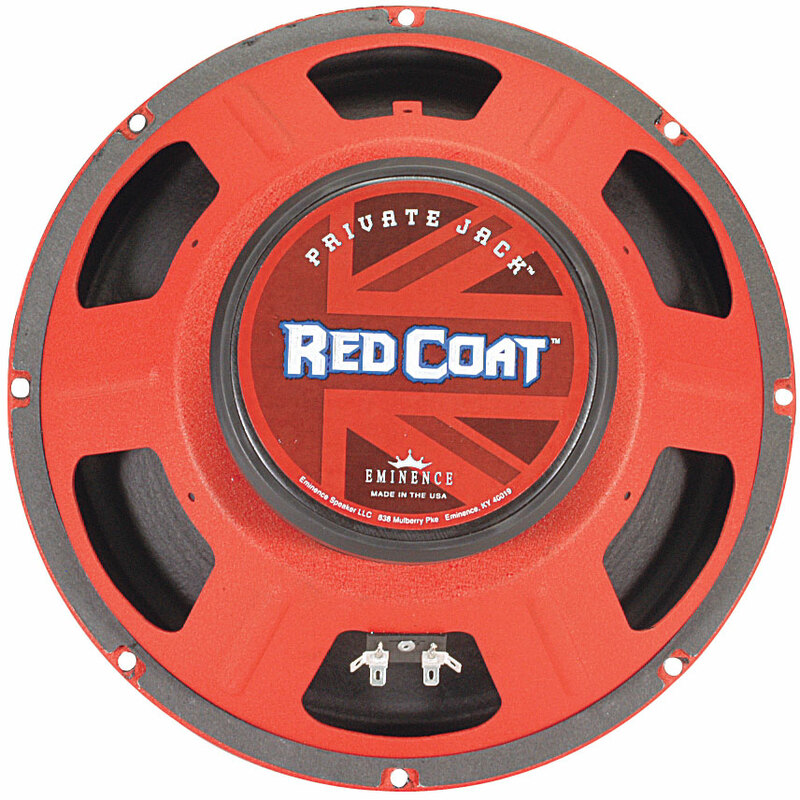 Click the button below to add the Loaded Eminence Red Coat Private Jack 12" Guitar Speaker to your wish list.